Get blazing fast internet anywhere you go with Link Pro. Whether you require connectivity in natural disaster zones or on location in remote areas, Link Pro’s bonded network capabilities help you to get online from the most challenging places. If you ever wished for wireless internet connectivity as good as you have it at home, look no further. Link Pro is your scalable solution for internet bandwidth when you need it, offering a 600 ft. wireless range, dual band 2.4/5GHz operation, and compatibility with up to six 3G / 4G / LTE modems from any region around the world. Link Pro allows you to combine bandwidth from Ethernet, WiFi, and cellular modems to ensure you have a reliable, high throughput connection to the Internet. That means anybody connected to Link Pro can surf the web, check their email, transfer files, or even stream live video from areas they otherwise couldn’t. Since all of the network connections are working together, the loss of any one link is immediately covered by the others. 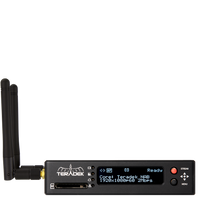 To enable bonded connectivity, a subscription to Teradek’s Core platform is required. Link Pro was designed to perform in variable environments, from mobile and vehicle applications to stationary operations in hazardous settings. There’s a model for any challenge you may face. 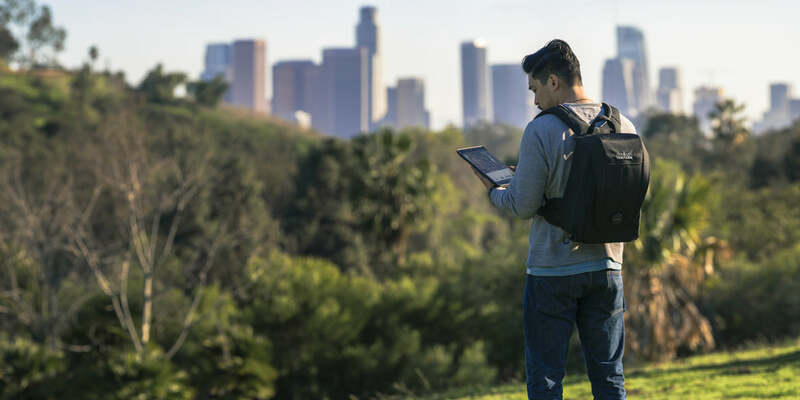 Bring high speed internet connectivity while you’re on the go with the Link Pro Backpack. Each ergonomic pack includes 4 Node modems and a Gold or V-mount battery plate, which will power the system continuously for up to 24 hours. Radome houses 4x Teradek Nodes in a single compact unit. A ⅜-16” mounting point makes the Radome adaptable for any situation including emergency vehicle installation, deployment in the field and live production environments. For systems integrators, the standalone Link Pro offers a barebones access point without Node modems, allowing you to supply your own connectivity and custom enclosure or mounting solution. Node is our powerful 4G LTE modem that offers robust internet in the most challenging environments. Featuring external high-gain antennas, Node provides broadcast-quality internet in remote locations, congested areas, and virtually anywhere you need to be. Nodes also feature universal SIM compatibility so you can use SIM cards from any 4G LTE provider, as well as a rugged, weather resistant chassis and locking 4-pin connector, so they are extremely durable and impossible to shake loose from Link Pro. Simply plug your SIM card in, attach Node to your Link Pro, and enjoy lightning fast internet connectivity. A subscription to our Core platform is required to get the most out of Link Pro. With Core, you can leverage multiple cellular data links at one time to surf the web, upload files, stream video, and more. Without a subscription, Link Pro cannot operate over bonded connections.